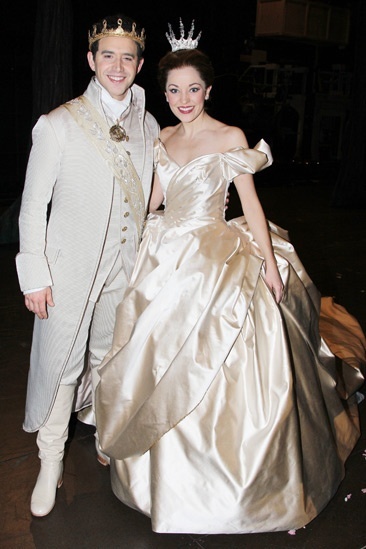 Here's your first look at Santino Fontana and Laura Osnes in William Ivey Long’s gorgeous Cinderella finale costumes. A true fairytale come to life! Katie Holmes went backstage at Broadway's Cinderella on February 2, 2013.